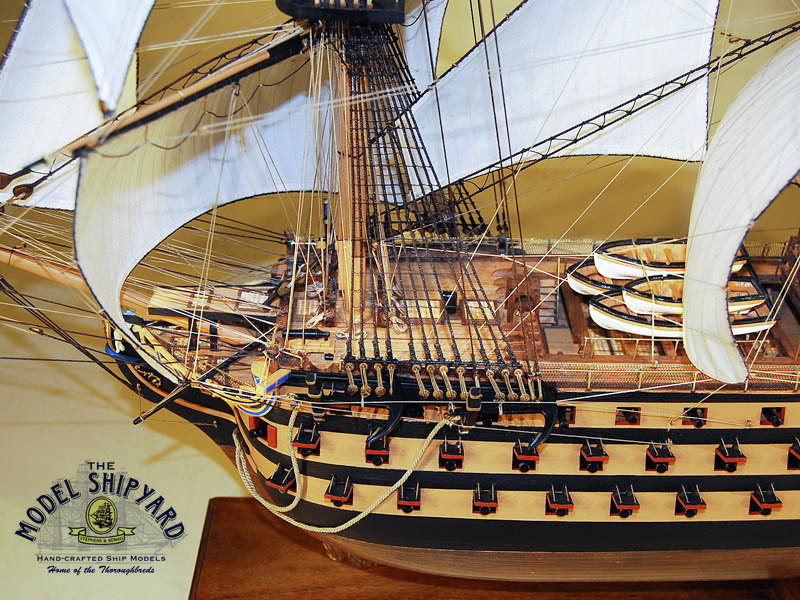 The HMS Victory was a 104-gun Ship of the Line. The book ’Anatomy of Nelson’s Ships’ by C. Nepean Longridge. The book ’The Arming and Fitting of English Ships of War’ by Brian Lavery. The HMS Victory was an English 104-gun Ship of the Line designed by Sir Thomas Slade and built by Edward Allen at the Chatham Dockyard. 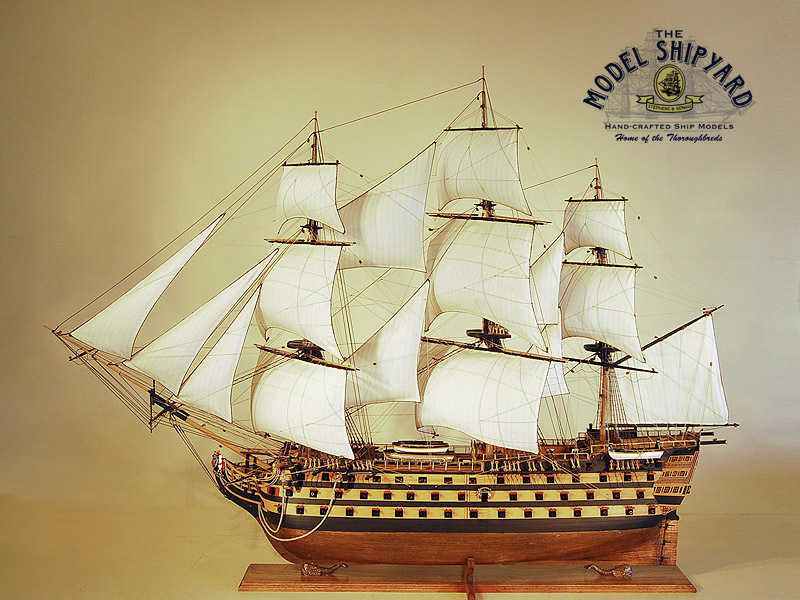 She was launched in 1765 with an armament of 104 and a complement of 850. 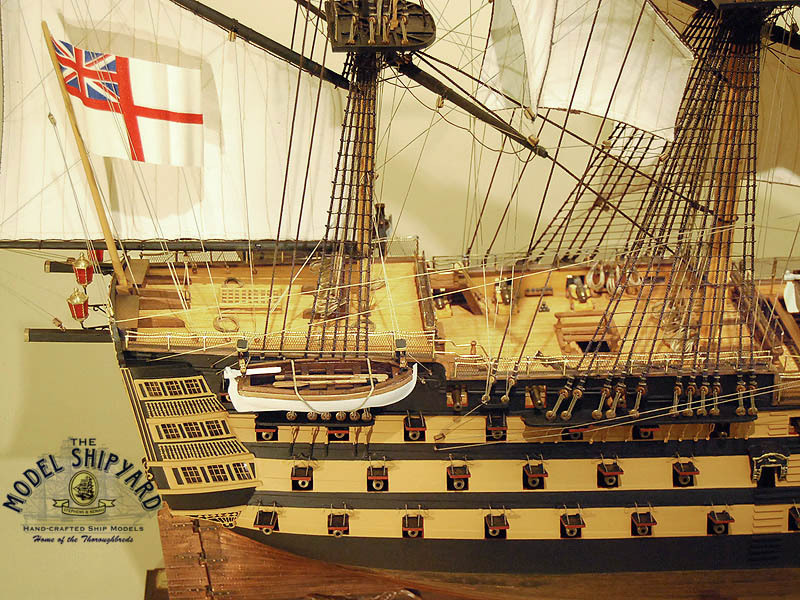 HMS Victory was the largest Royal Naval vessel ever commissioned with more than 2000 oak trees used for constructing her hull, three masts, and three decks. It took six years to build her and although she was so large, she was very maneuverable for her size due to the innovative shape of her lower hull. 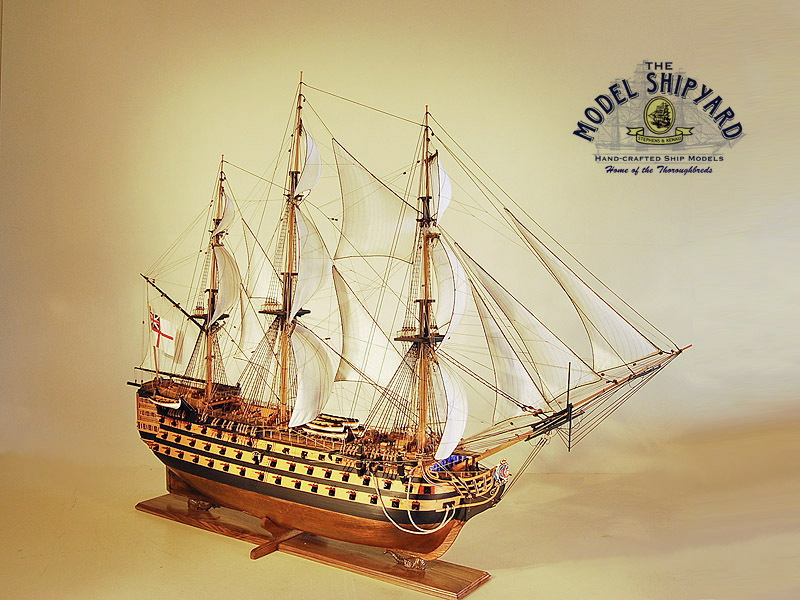 In certain weather, the HMS Victory was even as fast as some of the smaller ships. 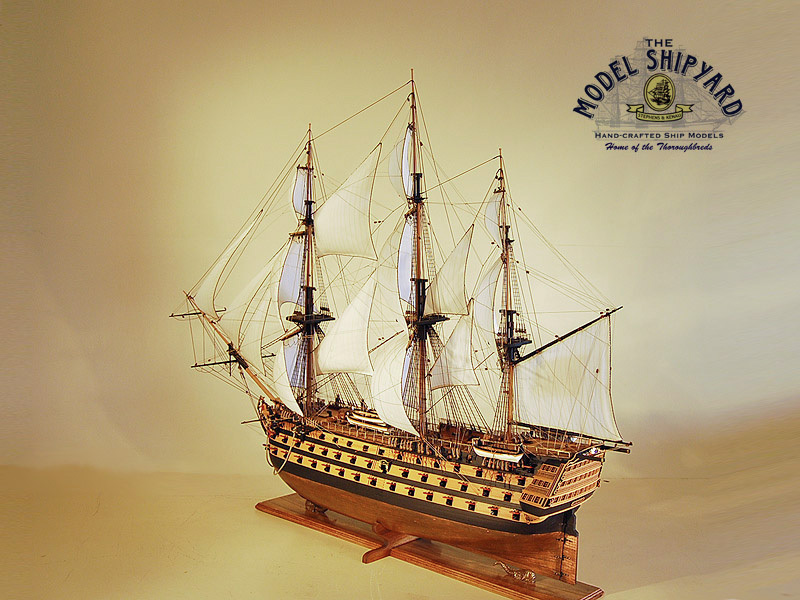 The HMS Victory was placed in reserve and only commissioned in 1778 when she was made the flagship of Admiral Sir Augustus Keppel’s Channel Fleet and took part in the Battle of Ushant. 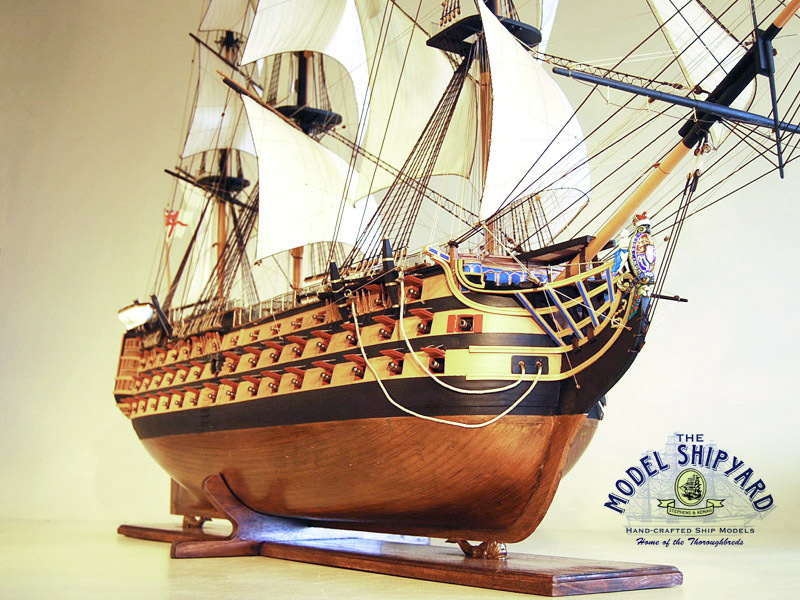 In 1782, the HMS Victory was Lord Howe’s flagship in the relief of Gibraltar. In 1792, the HMS Victory became the flagship of Vice-Admiral Sir Samuel Hood’s Mediterranean Fleet, which occupied Toulon and captured Bastia, Calvi, and Corsica. In 1797 Sir John Jervis sailed with fifteen British ships to intercept a large Spanish convoy. Here the British broke the Spanish line and did terrible damage on the Spanish flagship, Principe de Asturias. The British also captured the San Josef, San Nicolas and San Ysidro. Their success was due to Vice-Admiral Lord Horatio Nelson. 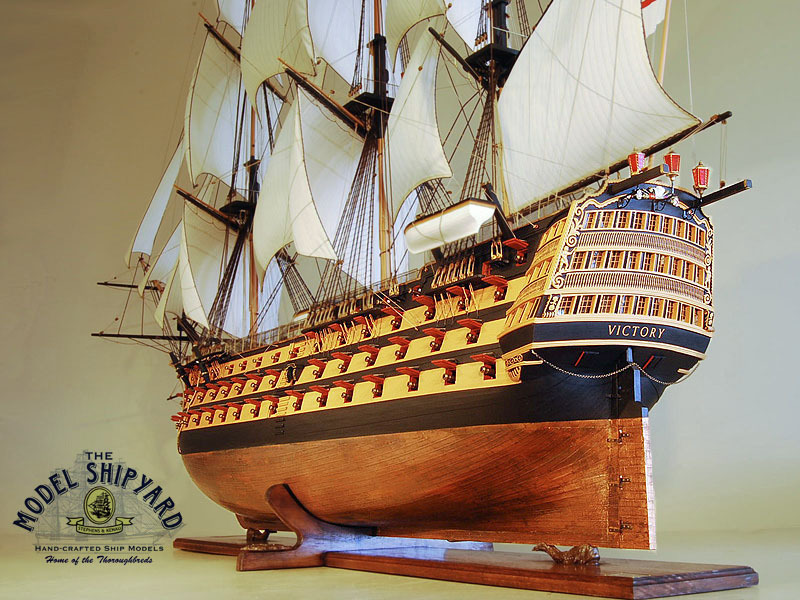 In 1798, the HMS Victory returned to Portsmouth where she was used as a prison hospital ship at Chatham. 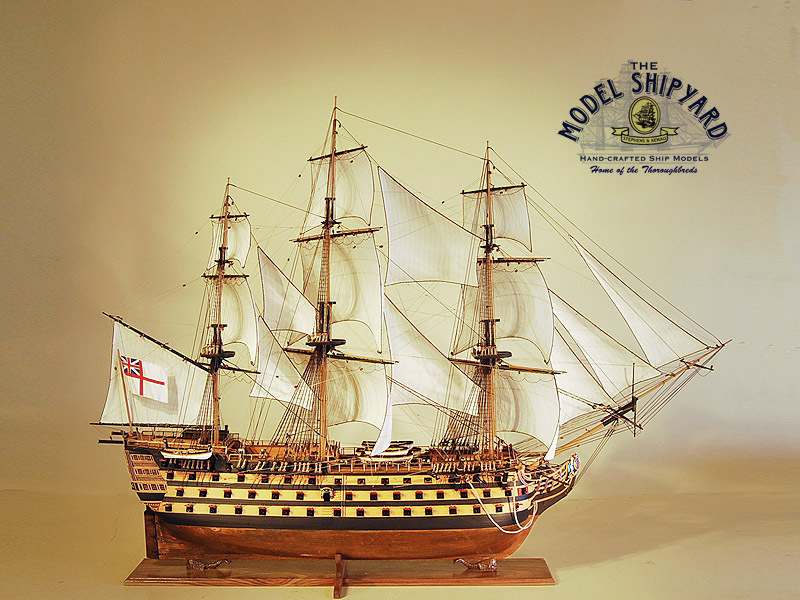 In 1800 it was decided to rebuild the HMS Victory, which took three years to complete. In 1803, the HMS Victory became the flagship of Lord Nelson’s Mediterranean Fleet with Captain Thomas Masterman Hardy in Command. Napoleon begun formulating plans to invade England and Nelson was ordered to contain Vice-Admiral Villeneuve’s squadron at Toulon. 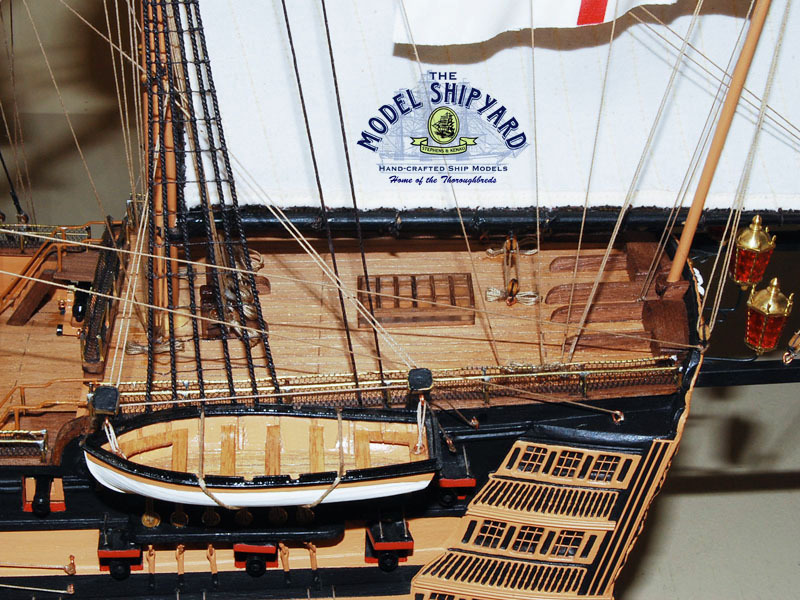 In 1805, Nelson divided his fleet into two divisions namely the HMS Victory and the HMS Royal Sovereign. Nelson was wounded by a sharpshooter on deck and carried below where he died a few hours later. The Redoubtable surrendered and the HMS Victory was out of battle. She was severely weakened and shot up but the British prized more than nine French and ten Spanish ships, including the Bucentaure. The HMS Victory lost 57 dead and 102 wounded. She was towed to Gibraltar by HMS Neptune and sailed for England. England ruled the seas uncontested for a century. 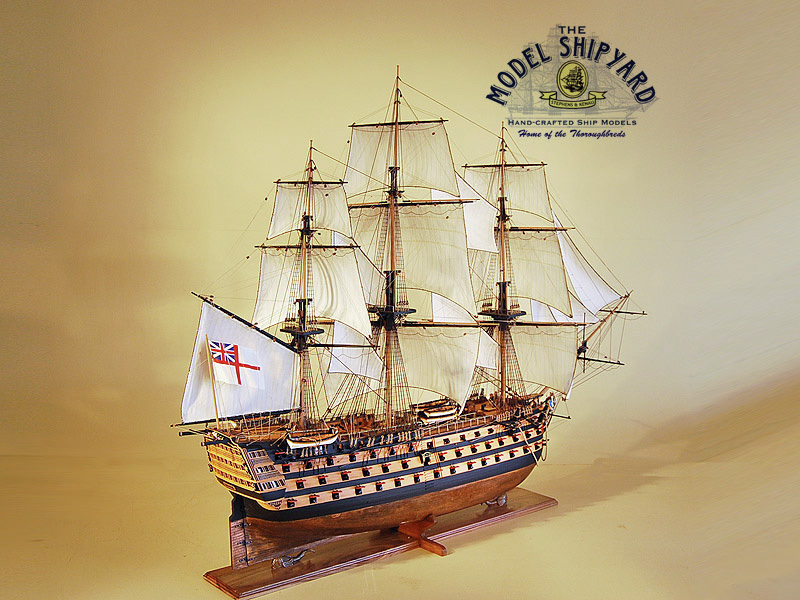 After a refit at Chatham in 1808, the HMS Victory reentered service as the flagship of Sir James Saumarez’s Baltic Fleet, which blockaded the Russian fleet and kept open the supply of naval stores from Sweden. Since 1922 the HMS Victory was dry-docked in Portsmouth and opened as a museum.